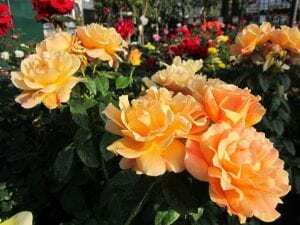 Rose Society of Saddleback Mountain is Coming To Green Thumb Lake Forest! 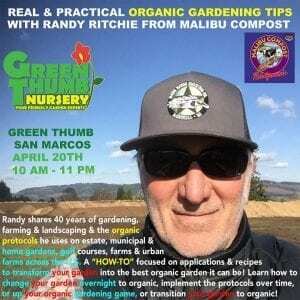 Come to Green Thumb and meet with members from the Rose Society of Saddleback Mountain! 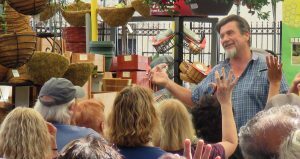 They will be here to answer questions about roses, give helpful tips and more! 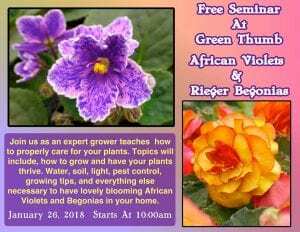 Where: Green Thumb Nursery - Ventura When: January 26th at 10:00 AM What: Rieger Begonias and African Violet Seminar An expert grower will provide tip and tricks on how to successfully grow and care for your African Violets and Rieger Begonias so they will thrive inside your home. 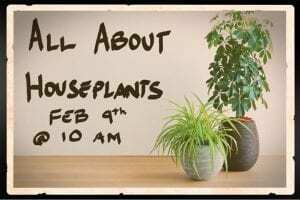 Join us in learning more about houseplants in this free seminar on February 9th, 2019! BUG WARS! We are bringing out a very special guest from Organic Control (Orcon) to speak on Beneficial Bugs and organic pest control! Kathy will also be presenting and will be available for questions after the class! 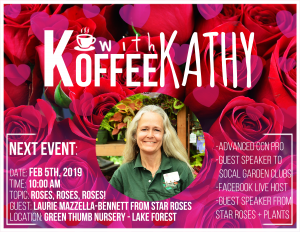 We are very excited for this Koffee with Kathy!